Terrain constructible d'environ 2000m2 viabilité en bordure, Chataigneraie, relativement plat. Maison de caractère en très bon état de 140 m2 de surface habitable, composée d'un séjour de 45 m2 . House Level 1, View Unobstructed, Position south west, General condition Good, Heating Bois et Electrique, Cleansing Saptic tank, Living room surface 31 m2, Total surface area 85 m2 Bedrooms 2, Shower 1, Toilet 1, Terrace 1 Environment house Terraced, Land Flat ground Taxes Yearly property tax 299? Maison de village, en pierres de pays, d'une superficie de 70 m2 sur deux niveaux. Toiture refaite. The Tarn Gorges, the Aubrac Plateau and the Cévennes make Lozère a paradise for nature lovers. Fishing, skiing or hiking are all on the program. It is the ideal spot for active holidays or a peaceful retirement. Property in Lozère is the least expensive in Languedoc-Roussillon. So, are you going to be tempted by a farm house to renovate, a village house or an old mill? 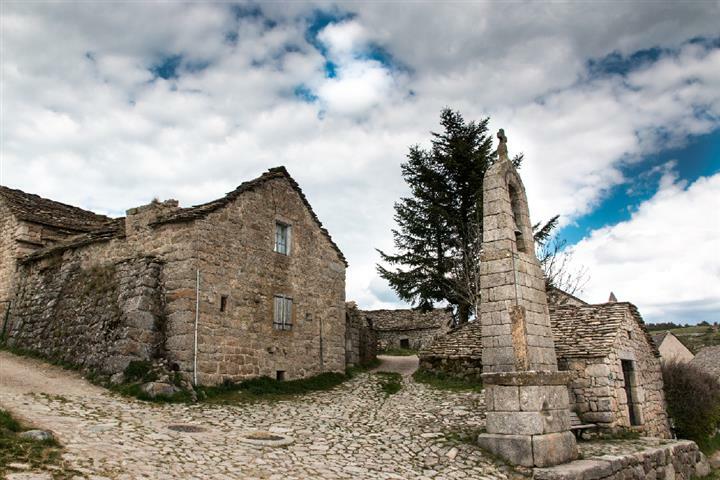 Have a look around Chanac, or maybe Sainte-Enimie on the slopes of the Tarn Gorges, or again La Fage, the astonishing, protected site of Mont-Lozère. In the evening, when a plat of wild trout appears on your table, with a glass of wine and chestnut preserve, you will know that you have really found your paradise!